Southerners put their heart and soul into their cooking, and take great pride in bringing a smile to a loved one’s face when they bite into one of their delicious creations. And no dinner is quite complete without something sweet! 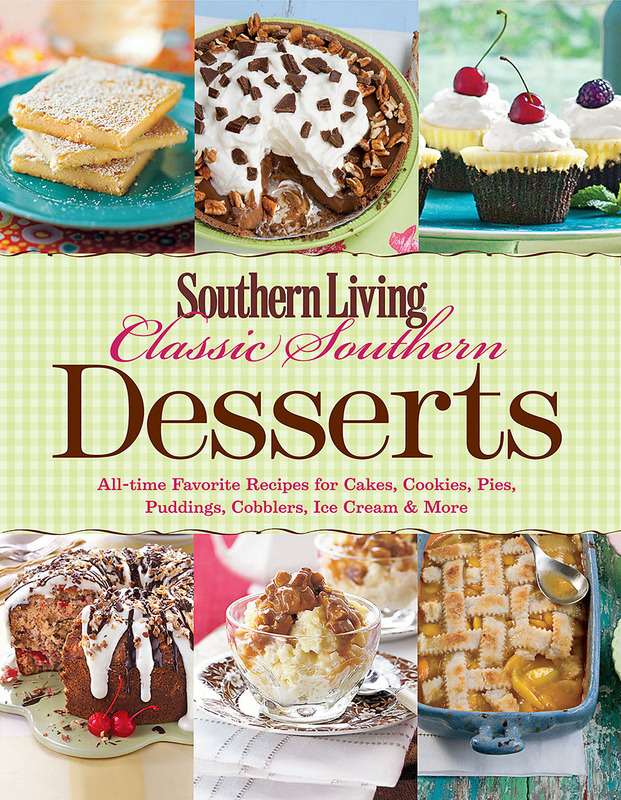 So, when I was recently contacted by the publishers of Southern Living Classic Southern Desserts letting me know that their new dessert book was being released, and asked me to do a recipe feature, I was honored and super excited to say the least, and couldn’t wait to get my hands on it! The book is beautiful and packed full of delicious desserts! I devoured each page, taking in the beautiful pictures and reading the recipes and history of them. 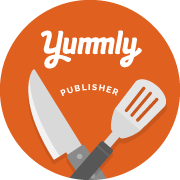 I truly found Classic Southern Dessert recipes, like Summertime Peach Ice Cream, Fresh Georgia Peach Pie, Classic Southern Triple-Decker Strawberry Cake, Pecan Pie…this list goes on and on. Flipping through this book, I had a hard time choosing what to make but ultimately decided to make the German Chocolate Snack Bars. They were very easy and delicious! I thought they tasted like a dense brownie with a cheesecake topping. 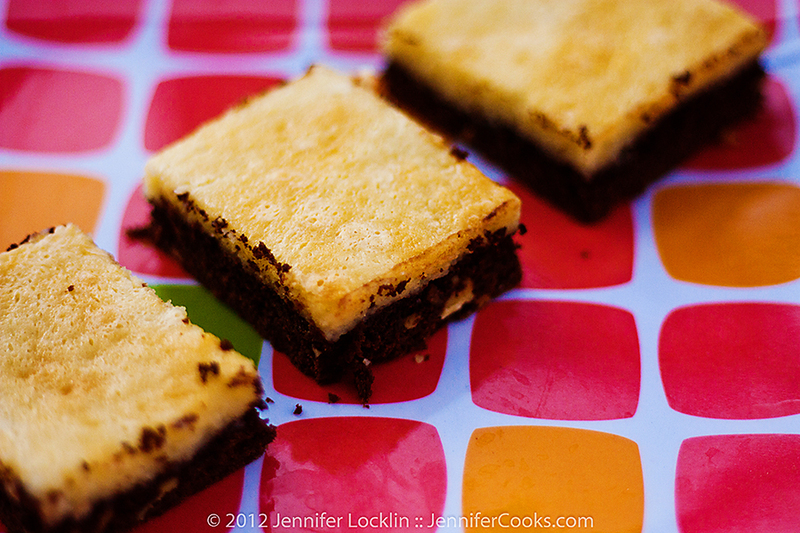 They’re easy to pick up and eat by hand, making them perfect for packing in a lunch or taking to a potluck! Preheat oven to 350°. Arrange pecans in a single layer in a shallow pan. Bake pecans 5 to 7 minutes or until lightly toasted and fragrant. Remove from oven. Reduce oven temperature to 300°. Stir together cake mix, pecans, 1 egg, and butter; press mixture into bottom of a lightly greased 13- x 9-inch pan. Beat powdered sugar, softened cream cheese, and remaining 3 eggs at medium speed with an electric mixer until smooth. Spoon powdered sugar mixture over batter in pan, spreading to edges. Bake at 300° for 1 hour. Let cake cool completely (about 1 hour). 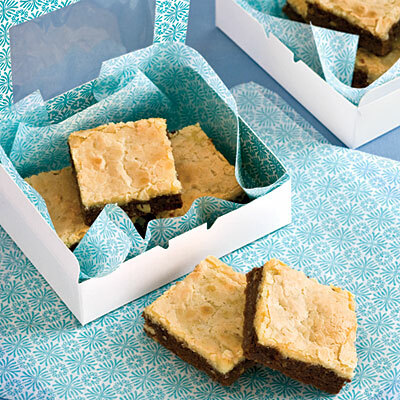 Remove cake from pan to a cutting board, and cut into 2½- to 3-inch squares. Aloha Jennifer, I wanted to know if I made your German Chocolate Snack Cake, should I follow your exact instructions even though the cake box industry reduced the box mix from 18.25 oz to only 15.25 oz. Not sure what to do here……Any suggestions or any feedback would be much appreciated. Much Mahalo for taking the time to read this. Hello! I believe it will work just fine with the reduced size cake mix. I would follow the same instructions with the same ingredients added. I may make a slightly thinner bottom, but I think it will be just fine. Thanks for taking the time to comment!